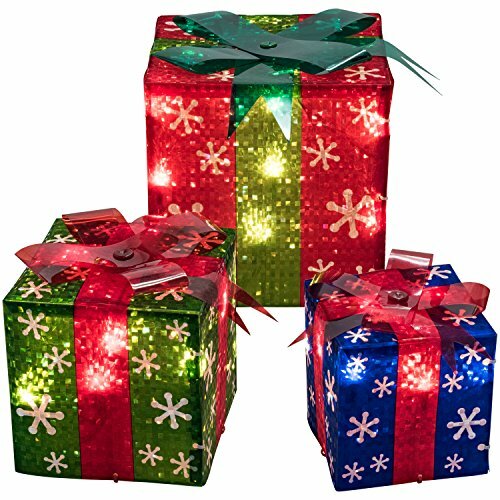 Prextex lighted gift boxes make the sweetest ever Christmas yard or home decoration set! Set includes: 3 Christmas Gift Boxes Covered in Snowflake Wrapping with Adorable Plastic Bows. Measurements: Large Box- 8″, Medium Box- 6″, Small Box 5″. 6 Lawn Stakes, 6 Plastic Ties and Clear Instructions Guide for Staking Gift Boxes into the Ground. 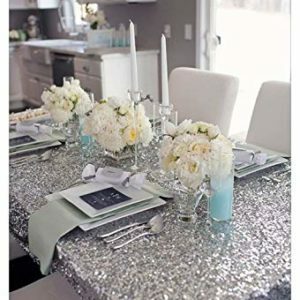 These are Sweet and Suitable for Any Christmas Occasion. Place ’em Anywhere to Create a Festive and Merry Atmosphere! Add Some Holiday Cheer to Your Yard/Home Décor with These Adorable Lighted Gift Boxes. Set includes: 3 Christmas Gift Boxes Covered in Snowflake Wrapping with Adorable Plastic Bows. Measurements: Large Box- 8″, Medium Box- 6″, Small Box 5″. 6 Lawn Stakes, 6 Plastic Ties and Clear Instructions Guide for Staking Gift Boxes into the Ground. Sweet and Suitable for Any Christmas Occasion. Place ’em Anywhere to Create a Festive and Merry Atmosphere!